Montrose Community | Colorado Mesa Univ. 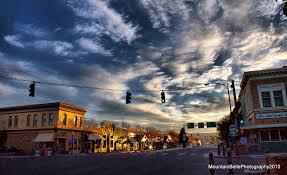 Montrose is surrounded by natural beauty for work and play. Located in the Uncompahgre Valley of scenic Western Colorado, and home to the magnificent Black Canyon National Park, Montrose is a friendly community of about 20,000 residents. Still small enough to be "West" but with all the amenities and people as nice as the climate, Montrose is a great place to raise a family or start a new and exciting chapter of your life. Partnered with year-round recreation including camping, Gold Medal fishing waters, snowmobiling, 4-wheeling, hiking, mountain-biking, golf, rock climbing, and easy access to two world-class ski resorts(Telluride and Crested Butte), Montrose has something for everyone. 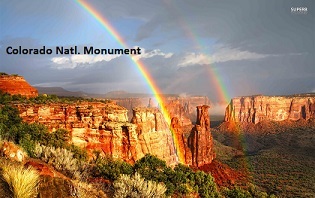 Within 300 miles or less there are 23 National Parks or Monuments, 11 National Forests and thousands of miles of public lands, all located in the picturesque Four Corners region. 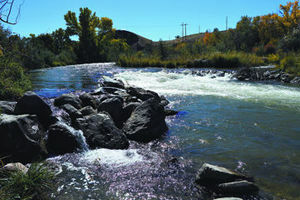 Scheduled for completion in Spring 2015 the Montrose Water Sports Park at Baldridge Park will include six drop structures (the largest in Colorado) for whitewater kayaking, tubing and swimming along with several beach areas, an additional 2,000 feet of concrete trail, 1,900 feet of soft surface trail and other park upgrades.